Whatever happened to Afrocentric Scholarship? Eleanor Brown, Black Like Me? "Gangsta" Culture, Clarence Thomas, and Afrocentric Academies, 75 N.Y.U. L. R. 308, at 322-3 (2000). 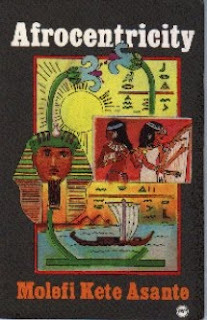 Of course, humyn life began in Africa, and philosophy, religion, and art all had their start on the African continent. This scholarship has had little impact on the law however. A quick Lexis or Westlaw search only yields a few results for "Afrocentrism" or "Afrocentric." Why? Why do we see this scholarship in other disciplines, but barely eking its way into legal scholarship? Critical race theory, with it's reliance on historical and genealogical inquiry, would be a suitable cognate for Afrocentric legal theory. Clearly we see more international law students in the United States, some form Africa and others from across the continents. International law classes are also becoming more prevalent and there is quite a bit of theoretical work being completed in classes like Legal History, Jurisprudence, and the like. It seems however that the legal academy has failed to fully understand or adapt Afrocentrism to legal scholarship. The reasons for this evade me. 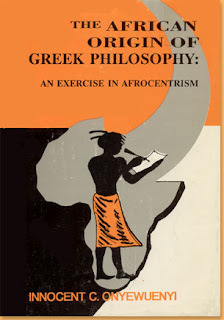 Why is there little work being done on African philosophy and the the law and why is Afrocentrism not more commonly referenced in legal theory classes? Hip-hop may be a place where Afrocentrism can take hold. With Nas and Damian Marley's Distant Relatives and an increasing number of artists from Africa, it seems like there may be an opportunity to engage in substantive hip-hop Afrocentric legal theory. Rappers like Akon, MC Solaar, and K'naan are popular hip-hop voices from Africa. Critical race theory must seek to include all Africans, not simply those in the United States. Hip-hop scholarship must do the same. I know, I know, that notion might offend some people, but an honest look at much of critical race theory work in the legal academy indicates that there is a bias toward focusing this critical lens on U.S. citizens and U.S. legal issues. Stopping critical race theory at the Middle Passage ignores a much more complex history of Africa and African people. Not much legal scholarship seems to be going beyond the beginnings of trans-Atlantic slavery however. What space should exist for Afrocentrism and hip-hop research in the legal academy? Where or on what legal issue has there been considerable Afrocentrism work? Might there be drawbacks to Afrocentrism? Are there Afrocentric hip-hop artists (for the wiki entry about African hip-hop click here)? These are some of the questions that should be answered.